Derren Brown to return to Channel 4 with 'The Push'. Multi-award winning Derren Brown will return to our screens in January 2016 with a brand new one-off psychological experiment, 'Derren Brown: The Push'. In the groundbreaking special for Channel 4, Derren Brown exposes the psychological secrets of obedience and social compliance - lifting the lid on the terrifying truth that, when confronted with authority, our natural instinct is to unflinchingly obey without question. To such an extent that even the most moral people can be made to commit the most horrendous acts, simply because they are told to do so. Derren Brown said: "I'm truly excited to be back on Channel 4, especially as this project is the first to be produced by my new company, Vaudeville Productions. The world of social compliance is a deeply fascinating one and hopefully we will take the viewer on a journey that will be disturbing and entertaining in equal measure." Derren Brown: The Push is commissioned by Liam Humphreys, Channel 4’s Head Of Entertainment and Factual Entertainment, and Entertainment Editor, Sarah Lazenby. 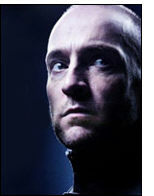 The Executive Producers for Vaudeville Productions are Derren Brown, Andrew O'Connor and Martin Dance. 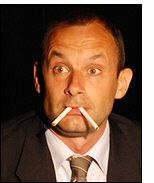 The Series Producer is Martin Turner. "FA Cup: Salford City feel the 'magic' ahead of first-round tie" Click Here. 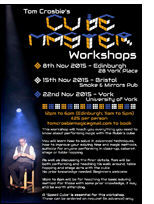 Tom Crosbie's Cube Master Workshops. You will learn everything there is to know about magic with the Rubik's cube. Tom Crosbie will be performing and teaching everything you need to know. 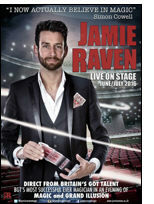 You'll walk away with a cabaret act, a close-up walkaround show, or a new stage magic piece. You'll learn everything from the methods and how to perform them, to the maths and the history behind the cube. The first two hours will be dedicated to learning how to solve the cube in its entirety. No prior knowledge needed. A 'speed cube' is essential. These can be ordered in advance. £25 per person for this all day workshop. Wakefield's wizards. Twenty years ago, two Wakefield tricksters, Phil Peters and Mark Lee, recognised a gap in the market for selling props and teaching materials to magicians. Starting out with a small stall at an indoor market, they have grown to run a permanent store in the heart of Wakefield. 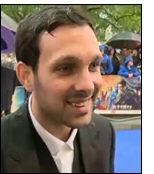 The business has serviced famous names like Dynamo, who has been purchasing equipment from them since he was a child. Although the business is very well established, it is looking to reach an even bigger audience. As of today, Phil and Mark will see their small business advertised on primetime television across the nation. In October, the pair entered a ‘15 Seconds of Fame’ competition hosted by mobile payments company iZettle where they had to submit a 15 second video to be in with a chance of winning their own television advert. Hundreds of small businesses across the UK entered and with only seven winners, competition was tight. But like all great magicians, Phil and Mark managed to make their business stand-out from the crowd. Here is a link to their submission, Click Here (close X top right). The Magic Isle, a book about magicians who performed on the Isle of Man during the nineteenth century, has just been published. The Magic Isle is a fascinating story of miracles, animal magnetism, ghosts, card sharps and the anti-combustible lady! Author Mike Clague says "I expected to find a small number, but was surprised to find over 80 magicians, the first being Thomas Ingleby in 1805. The stories about their acts are really fascinating. The first 'mind reading' act seen on the island was in 1852, when Professor Barnado Eagle and his daughter caused considerable controversy. John Henry Anderson came to the island on several occasions, but in 1873 he was so rude to an audience member, calling him 'as great a fool as ever I met' that many people rose and left the theatre." "...it is excellent. I thought that I had a good knowledge of Victorian magicians but he has done an amazing amount of original research and I certainly learnt a lot." Peter Lane, Chief Librarian, The Magic Circle Library. The illustrated 200 page softback book costs £15 plus £3.50 p&p (UK) and is available directly from the author: mikeclague@me.com 01624 878328. A hardback edition limited to 50 copies will be available from 18th November at £25 plus £4.10 p&p. Postage outside the UK will be at cost.